The craft beer industry is, without a doubt, one of the friendliest, most collaborative places a business owner could set up shop. Having said that, we've seen our fair share of less than friendly industry dealings over the last few months. Unfortunately, that theme hit close to home recently for Chicago's own Mercenary Brewery & Distillery. Brewers of the excellent Charlatan Pale Ale and Fat Pug Milk Stout, founders Adam Cieslak and Ari Megalis have already dug themselves a respectable foothold in the Chicago market under the Mercenary brand. After a recent legal confrontation with For Collins, Colorado's Odell Brewing, Mercenary is now known as Maplewood Brewery & Distillery. We caught up with Adam and Ari for a quick chat to find out how they're taking a bad situation and turning it into a positive. Today you announced that Mercenary Brewery & Distillery is becoming Maplewood Brewery & Distillery. First let's get the legal stuff out of the way. Why the name change? A few months ago we received a cease & desist letter from Odell Brewing Company's attorneys. This was in regard to our name "Mercenary Brewery & Distillery" allegedly infringing their trademarks related to Odell's Myrcenary Double IPA beer. We contacted the owners of Odell and tried to come up with a solution that would allow us to continue to use some form of "Mercenary Brewery & Distillery" – adding/removing words to become 'MercenaryCraft', etc. We sent them photos of homebrew beer we made back in 2007 having "Mercenary Brewing Company" on the labels and explained why we chose the name back then. But, in the end, Odell has the trademark, and they did not want us to use any form of the word Mercenary, which is their right. So rather than get into a legal battle that we couldn't afford, we decided to make a clean switch to a new name, Maplewood Brewery & Distillery, and move forward. What inspired the new name? This name was chosen to honor the former village of Maplewood, which is the area where our brewery/distillery is located. Maplewood has some cool history behind it. It was one of the areas that survived the Great Chicago Fire and its primarily immigrant residents aided in the rebuilding of Chicago after the fire. Maplewood was annexed by the City of Chicago in 1889, which helped form Chicago’s Logan Square area. Additionally, our brewery/distillery is on 2717 N. Maplewood Ave, so it all came together, and we're really excited about the name. You have a very distinctive brand? Any major changes coming on that front other than the name itself? The only major change will be to the name/logo portion of our labels. The overall branding style and feel to our design will remain the same, and happens to go nicely with the feel of Maplewood. We're really happy with the way our bottles look on the shelves so we want to keep the same clean look to our branding. When can we expect to see product with the new name around town? We running through our stock of Mercenary branded bottles, very soon bottles/kegs will be shipping out with the new name of Maplewood. We're also immediately starting to replace tap handles/etc. with the new Maplewood branding. 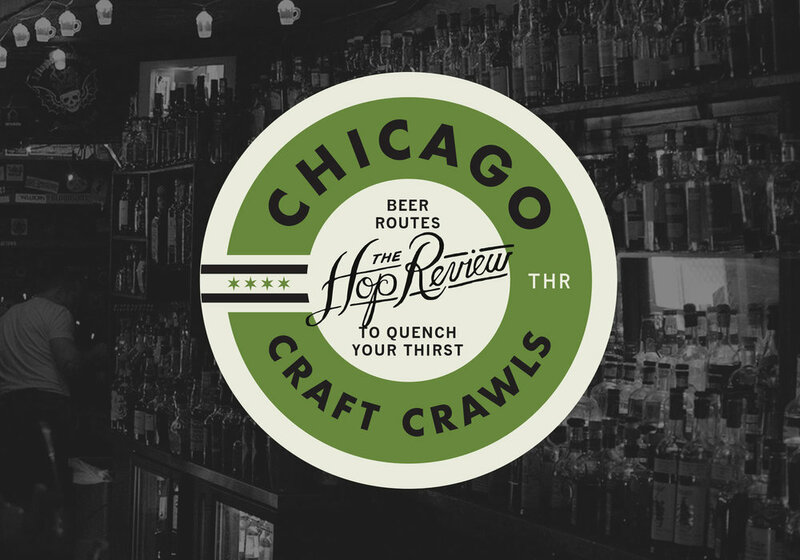 So the new name should be popping up pretty soon, and the old Mercenary branded items will ride off into the sunset and become tiny parts of Chicago brewing history haha! Thanks Adam and Ari. Best of luck with the name change and we'll be on the look out for the new artwork around town. If you're interested in trying out the Maplewood goods and saying hi to Adam and Ari, check out their Creepy Ginger beer release event on April 24th at Kaiser Tiger; the aptly named "Creepy Ginger Release and We-Were-Going-To-Be-Sued-So-We-Had-To-Change-Our-Name Party"
Be sure to check out our previous interviews with Adam and Ari from August 2014 and February 2015.